Ok, so I get it. When you’re a new therapist, you really have no experience to go on so you rely on what you were taught and how you interpreted those teachings. But one thing I would think they would learn, is how to keep an open mind and not let their preconceived ideas cloud the treatment of their patients. I mean, sure, we all have our preconceived notions about others, and usually those are formed in a large part by our own experiences. But my experiences are not yours any more than yours are mine, and not everybody fits neatly into a box, even when it’s statistically likely. Yes, I experienced sexual abuse as a child. There is no question there. Yes, I remain detached and distant as a result of years and years of that being my coping mechanism. But I’ve never touched, looked at, or even thought about my daughters in a sexual way. So why is my daughters therapist insisting she has dissociative disorder because she keeps insisting I never molested her. I’ve had that discussion with her (the therapist) on no less than three occasions – I have never touched my daughters. It was done to me and I absolutely hated what it did. So why would I do that to somebody I love? I wouldn’t. I couldn’t. I haven’t. My daughter has likewise told her (or so it has been reported to me) on no less than 4 occasions that I have never touched her. Yet the therapist keeps bringing it up. OK… so statistically, am I more likely to sexually abuse than people who did not experience CSA as a child? Of course. But “more likely” is not “guaranteed”. Statistically, I should be dead, strung out, or in prison. But I’m not. And she knows this, yet she seems to be on a mission to uncover something that isn’t there. And the ironic thing is, I have never been really physically close to my daughters for precisely this reason. I know the statistics. I know what people think. I know the judgements people make, and I can’t think of anything worse than being accused of molesting my own children. So I keep my distance, which has led to it’s own slew of issues. But it is people like this, with attitudes of self-righteousness and armed with basic knowledge that cause people like me to hang back for fear of being accused. And who suffers as a result? So this therapist, who is supposed to be helping my daughter deal with the fact that her and I have never really been close, is engaging in the very behavior that has helped cause the issue she has been hired to help fix. Well, *had* been hired to help fix. Obviously she is not the right fit. In the meantime, I’m waiting for a call back from her boss who runs the practice to discuss this. Interestingly enough, her boss is one of my former therapists. One of three, out of easily 15 or so, that I actually made progress with. One of the few people in this world that I have felt has been on my side no matter what. I’m fairly confident she knows I would never touch my daughter… and fairly confident she will listen to what I have to say and take it to this other therapist in a way that will make her not make these kinds of assumptions in the future. But who knows… I’ve spent my life under a cloud of suspicion. I’ve fought it year after year. And every time I think I’ve dug my way out, along comes yet another person with their assumptions and do-goodery (yeah, I know that isn’t a word) to pull that rug out from under my feet. This isn’t an easy post to write. In fact, I have already started and deleted 2 other posts on this subject. Maybe third time is the charm for real? who knows… but the thing is, I have a therapist that I think has really helped me uncover things about myself and my life that I had not previously seen. Because of her, I believe I have been able to move through this phase of my recovery from my childhood. I opened myself up, I bared my soul, I did the deep introspection even when I didn’t want to. For over a year, I have dug and dived, soul searched and introspected, because I have a goal of becoming who I truly am, and I know that to really find myself, I have to be 100% honest. So something came up recently, something I had done, and my therapist received a phone call about it from somebody that wasn’t me. We had spent the better part of a year discussing this persons manipulation, and I don’t know what the contents of the voice mail was, but suddenly there are two issues that she doesn’t believe me about. One of these was something we hadn’t spoken about, because it wasn’t really an issue. But oddly, when she asked me about it, she didn’t seem to believe my answer. Then we discussed the other issue that was brought up in that phone call, and I told her the same thing I had been saying all along, which is the truth, and she said she thought I was “under reporting”. For almost a year and a half, I have bared my soul to this person. But more than that, I trusted her with my most personal feelings and trusted her to take the raw me and help free the real me. I trusted her guidance had my best interests at heart. I opened up to her like nobody before. And she suddenly doesn’t believe me? Because of a phone call made by somebody who she repeatedly told me was toxic to me, because of her manipulative behavior.. ;you know, like make phone calls and trump up the truth? Maybe the two are unrelated. That is possible. Stranger things have happened for sure. But the timing is pretty suspect, especially given the manipulative skills of the caller and the topics in question. I think the worst part is, I’ve been nothing but honest with her, knowing that is the only way to continue healing, and trusted that she would take that information and shape the path that would lead me where I need to be. Yes, I have lied and manipulated my way through life. I won’t deny that. But I know that in order for me to get better, I need to do the hard work. And I know that means being honest, no matter how painful. And now, the process has been compromised. How can I trust I’m getting the right direction when the guide is making their own judgement about what I may really mean rather than what I’m saying? How can I continue down my path when I can no longer trust my guide is helping the real me rather than the me they think I am? There has been an extremely small number of people I have ever felt comfortable enough with to be 100% honest.. As a child I developed a really good wall, as well as the skills to protect it. I didn’t let anybody through – how could I trust them to not hurt me after the very people I trusted to protect me, didn’t? Instead, I lived a lie. Being untruthful was the norm, and I was used to being called a liar. It was insulting, but since I knew it was ultimately true, I didn’t trip on it much. Lying was a way of life. A way of a life I was trying to escape, and I knew the only way to escape it was to be 100% honest with someone who knew how to illuminate the path out. Anyway, to make a long story short, I think I can’t continue to see her. Not only can I no longer fully open myself up knowing she may or may not believe it, but I can’t trust her guidance is best for me as opposed as the me she thinks I am. Sad really, because despite my best efforts, this really affects my ability to trust in general. You don’t believe me? Then why should I be honest? Maybe it’s petty, it’s certainly counter-productive, but ultimately it makes me feel like I’m all alone, that nobody really understands me. It’s sad really. On a positive note, I think the work I’ve done over the past year and a half hasn’t gone to waste. I feel comfortable confronting her about all this at our next appointment. I think it’s time to take a break anyway. Perhaps this phase of my healing is over and it’s time to take what I’ve learned and put it to use for a bit before moving on.. So I’ve been seeing this really great therapist that is one of those no nonsense, cut to the chase kind of people. Sometimes I think her favorite phrase is “that’s not it, dig deeper”. Over the past year we have really been working on setting boundaries and peeling apart the layers of my life that aren’t all that healthy. A few months ago she said she wanted me to see a psychiatrist about my meds. I don’t recall why, but she also mentioned something about ADHD.. she was the second person to bring it up. I had been tested for it a few years ago by some psychiatrist and found to have it, for which she prescribed some meds for. I don’t remember what they were, but they slowed my brain down so much it was like mud. I hated them and stopped taking them after a week or so. After all, if that’s how “normal” brains work, I’d rather stick with my familiar million-miles-a-minute thought processes thankyouverymuch. Fast forward to my psychiatrist visit. This guy is kind of far away – it’s an hour there and an hour back. I live in the Seattle area where there are plenty of psychiatrists, so why this guy? Just go see him my therapist said. 9 times out of 10, she has called out something about me MONTHS before I could see it, and she hasn’t steered me wrong yet, so I said sure..
Met with the guy, had a great (and relaxed) initial consultation. We discussed my depression, the meds I was on, my abuse history, my relationships, the fact that I was always tired.. pretty much touched on everything. His instructions at the end were “go get a sleep study done. If they don’t find anything, then come back and we can discuss your ADHD”. wtf.. a third doctor? So I got the sleep study.. I did a three night at-home deal which showed some interesting results, but nothing conclusive so I did an overnight at their clinic. His conclusion? Mild sleep apnea, but not enough to explain why I was always tired.. his prescription? Here.. have some adderall. Ummm. I’m a former meth addict – the last thing I need is a prescription for amphetamines. But I took it.. because.. addict. Anyway, made a follow up appointment with the other psychiatrist.. took the adderall for a week before meeting with him (“just so I can tell him about it” was my excuse.. but.. addict) and to be honest, I totally hated it. Maybe not totally, but it was nothing like the old meth high I used to know and love. It was more like the “been up for 24 hours and now you feel like crap” high. So totally not my thing. so I told the psych about it and he agreed that with my history, adderall was not the ideal option. So he gave me 10 modafinil and 10 armodafinil.. and 60 ritalin .. and told me to play with them and see what I liked. Turns out, Ritalin was that stupid mind-slowing drug that I had hated in the first place. But, it was offset by the Modafinil and Armodafinil so there was this weird alertness to balance the brain mud. I *think* I like the armodafinil better, but changing drugs/doses 4 times in 20 days makes it difficult to really tell what’s what. For me, the Modafinil sits in between the Adderall and the Armodafinil. Kind of tweaky, but at least it doesn’t have the jaw clenching, back tightening effect that the Adderall does. So I called the doc and said I want the Armodafinil.. and he asked if I was taking 1 or 2 of the Ritalin. I had been taking 1 I said, but after the phone call I ran back to the bathroom and saw he had given me 60 pills for the month. So I’m guessing he wanted me to take two. So today I took two, along with the Modafinil (I’m out of the Armodafinil until the pharmacy fills it) and OMG it was like night and day. I was alert and sharp. I could actually focus without being annoyed with everything and everybody that I came into contact with. It’s like a new world has opened up and I can be productive and have the energy I think I should have (I tried testosterone supplements – all they did was make me super horny lol), while at the same time I’m not totally spaced out and tweaky. Time will tell of course, but for today I’m good. Also, the Adderall really worsened my depression.. I don’t know if that was the drug itself, or the fact I knew that as a former meth addict, I really should know better than to take amphetamines and yet I was taking them anyway. The Modafinil seems to also heighten my depression, although not as much. I don’t remember the Armodafinil doing such, but I guess I’ll find out when I pick up my prescription tomorrow. I was also going to write about how my marriage is falling apart, but this entry is long enough.. Wonderful new review posted on Amazon. Thanks, Diana wherever you are! Been a while, but recent developments have led me both back into recovery and back into therapy. I have a *great* therapist now that won’t take any crap and forces me to dig deep for the true answers (not the ones I want to give). April is National Child Abuse Awareness Month and to honor this, I have dropped the price for the Kindle version of My Father’s Prostitute to 99c on Amazon, and slashed 40% off the price of the paperback if you buy it though lulu.com. But that isn’t the only exciting news – I awoke this morning to find that Pixel of Ink had selected the book for their Book of the Day yesterday! I didn’t submit it to them and have no idea how it ended up on their radar, but it was wonderful news to wake up to this morning! As a result of trauma, I suffered from PTSD for years. I was jumpy and always on edge. When I had kids, I knew I needed to fix that. Kids jump on you, they surprise you, they do all sorts of things that aren’t compatible with PTSD. So I did. I spent years working on it so that I wouldn’t have such instant reactions. Reactions that could hurt my child. But I was never sure. Was it gone? Was I “fixed”? I do still find myself scanning my surroundings. I find it difficult to have a one on one conversation in a room full of people because the person in front of me is not a threat – so my attention focuses where there may be one and doesn’t allow me to focus on the person I am speaking with. For the past 8 months or so, I have been taking Krav Maga classes. If you aren’t familiar with it, it’s a self-defense martial art form that, unlike many other self-defense styles, is designed to inflict maximum damage on your attacker. It was developed by the Israeli Army and is designed for close combat. Last night as I was leaving the grocery store, I felt something in my back and heard a voice say “give me your money”. I paused. I hesitated and turned to look. It was my Krav instructor and I ‘failed’ the test. He wanted me to react by sweeping his arm away while delivering a strike to the face. But I didn’t. 5 years ago I would have though. So while that may have been a failure on one hand, to me it means my PTSD is no longer controlling me. For me, that’s a “win”. Interesting new findings for PTSD..
Scientists have discovered the brain chemicals responsible for the development of PTSD in rats. This could lead to better and more effective treatment. 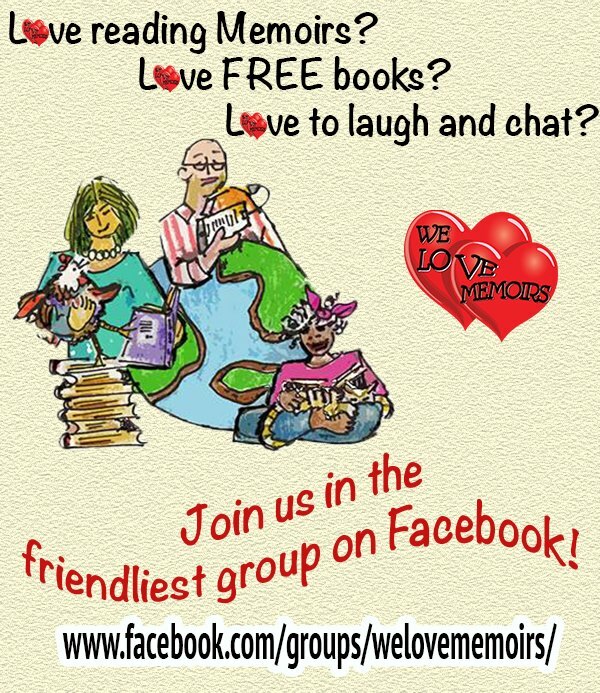 Monday 31st August is We Love Memoirs Day and will be celebrated worldwide. 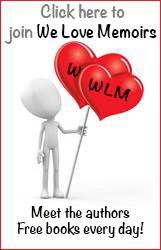 We Love Memoirs (WLM) was set up on 31st August 2013 by two memoir authors, Victoria Twead and Alan Parks, who wanted to create a place where memoir readers and authors could come together and chat. Victoria Twead is a New York Times bestselling author of “Chickens, Mules and Two Old Fools” and the “Old Fools” series, while Alan Parks is the author of “Seriously Mum, What’s an Alpaca?” and the “Seriously Mum” series. You can pick up your copy of the #1 Best Seller My Father's Prostitute: Story of a Stolen Childhood from HERE 24 hours a day!